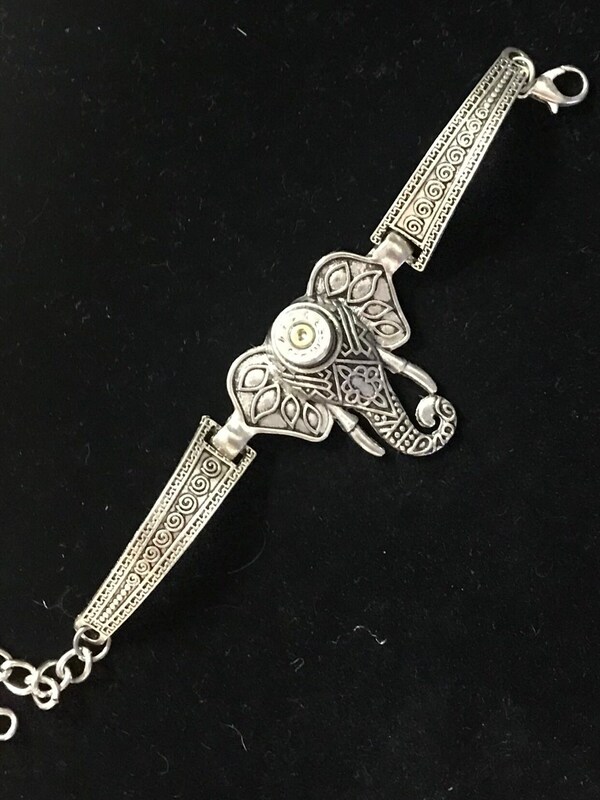 Elephant bracelet with 9mm bullet casing. 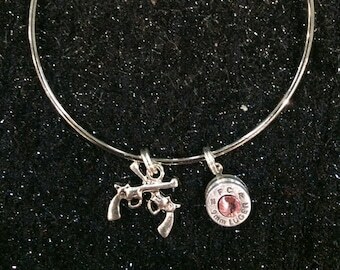 Adjustable up to 10” wrist. Smaller wrists can have some links cut off. When you receive this, the metal sides can be bent to “cuff” your specific wrist size. Colored crystal can be added if desired.